Our representatives in the Ivory Coast wish to inform that they only can deliver in Abidjan. There are little flowers available in other cities and due to long distances it is not possible to deliver flowers from Abidjan. 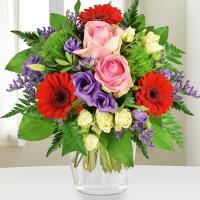 Send Flowers to Ivory Coast! It is very important that customers send their order from 48 hours before especially when the delivery is for the weekend. It is highly recommanded to advice the correct telephone numbers in Abidjan.